Finding a mining pool is a valuable part of mining Bitcoin and other cryptocurrencies. Mining pools allow Bitcoin miners to combine their efforts and share the rewards earned. Using a mining pool almost always results in higher earnings than mining alone and there are numerous pools to choose from, some officially managed by companies and others run by dedicated users. Bitcoin mining is the process in which transactions are confirmed on the Bitcoin blockchain. People who partake in mining are referred to as Bitcoin miners. Bitcoin miners use dedicated software on their computers to process transactions. The more powerful a miner's computer is, the more transactions they can process and the more Bitcoin they earn as a reward for their efforts. Mining rewards consist of the small fees charged to the person who initiated the Bitcoin transaction (for example, a person buying a coffee with a Bitcoin smartphone wallet). Occasionally the Bitcoin blockchain will release new Bitcoin during the mining process and this largess is divided up among the members of the Bitcoin mining pool that unlocked it. Joining a Bitcoin mining pool is kind of like buying lottery tickets with a group of friends and agreeing to split the prize money among yourselves if one of you wins. You have a greater chance of winning a little bit of money more often this way than simply buying one ticket by yourself and hoping to get the grand prize once. Each Bitcoin mining pool offers a numerical address inputted into the custom settings in the Bitcoin mining software. Most mining apps and services support their own official mining pools although many online communities have also created their own. Some pools can be more profitable (i.e. earn more rewards) than others so it can be worth experimenting with different pools on a weekly or monthly basis. Using a custom pool isn't a requirement, though, and is usually something done by advanced miners. Other mineable cryptocurrencies also have their own mining pools. Most Bitcoin mining apps and services run their own official pools. These official mining pools are typically the default option but they can be changed to a custom pool in the application settings. Official Bitcoin mining pools are usually a reliable option for most people as they often have a lot of other Bitcoin miners already mining in them and also receive technical support and upgrades by the company behind the app or service it's related to. Examples of services that provide a default mining pool are the Windows 10 Bitcoin Miner app and the popular Bitcoin mining rig hardware manufacturer, Bitmain. Should You Change Mining Pools? Change Bitcoin mining pools to experiment and see if a different pool will increase your earnings. In most cases, using a default, official mining pool should be perfectly fine, however. One good reason to change mining pools can be if you wish to mine a different cryptocurrency. The Windows 10 Bitcoin Miner app can also mine Litecoin, for example, by simply entering the address of a Litecoin mining pool in the Custom Miner option in Settings. If the type of cryptocurrency mining pool is changed, the payout wallet address should also be changed. For example, if you're mining from a Litecoin mining pool, make sure that your payout wallet address is for a Litecoin wallet. Using an incorrect cryptocurrency wallet will result in an error and you will lose your earnings. There can be some exceptions to this rule where a mining pool could allow you to mine one cryptocoin such as Ethereum and be paid in Bitcoin. The pool's official website or discussion forums will mention if this duality is possible. The most-popular alternative Bitcoin mining pools are Slush Pool and CGminer. Slush Pool was the first Bitcoin mining pool ever created and, while it is no longer the biggest, it has a solid community built up around it and a lot of support material available to help new miners get started. The most convenient place to find alternative Bitcoin mining pools is Crypto Compare. The site lists almost all available pools and lets you sort them by specific details and rank them out of five stars for quality and reliability. Here are three things to look out for when searching for a mining pool. Fee: The fee percentage is what the owner of the pool will take from your own overall earnings. This can range from 0 percent to 10 percent. 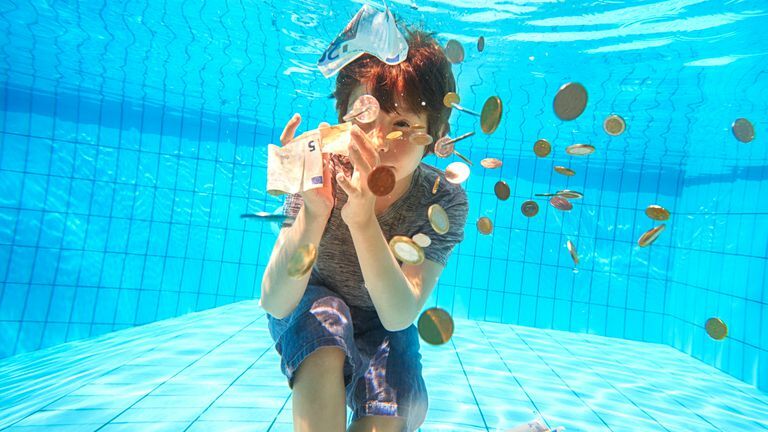 While joining a pool without a fee sounds tempting, pools usually have low or no fees because they have no users and are trying to attract new members. It can often be worth joining a better-quality pool with a lot of users and paying a higher fee as that could earn you more in the long run. Country of Origin: While you can join a pool located anywhere around the world, joining one closer to where you are will result in a better experience and higher earnings. Reputation: The cryptocurrency space can be quite political with some mining pools actively trying to sabotage the evolving Bitcoin technology by deliberately mining Bitcoin in a way that slows down transactions on the blockchain or refusing to switch to a more advanced version of Bitcoin that could be more secure and cheaper for users. A Twitter search of a mining pool's name will usually reveal any negative aspects relating to a mining pool and its miners. Some pools to avoid are BTC Nuggets, F2Pool, and AntPool. A pool, no matter how great of a reputation it has, cannot make up for a lack of quality mining hardware. Mining pool earnings are still calculated on how much your own computer can mine so you will still need to invest in building a mining rig if you hope to make anything worthwhile. If purchasing a mining rig isn't an option for you, cloud mining could be a viable alternative because of its cheaper price and ease of use.